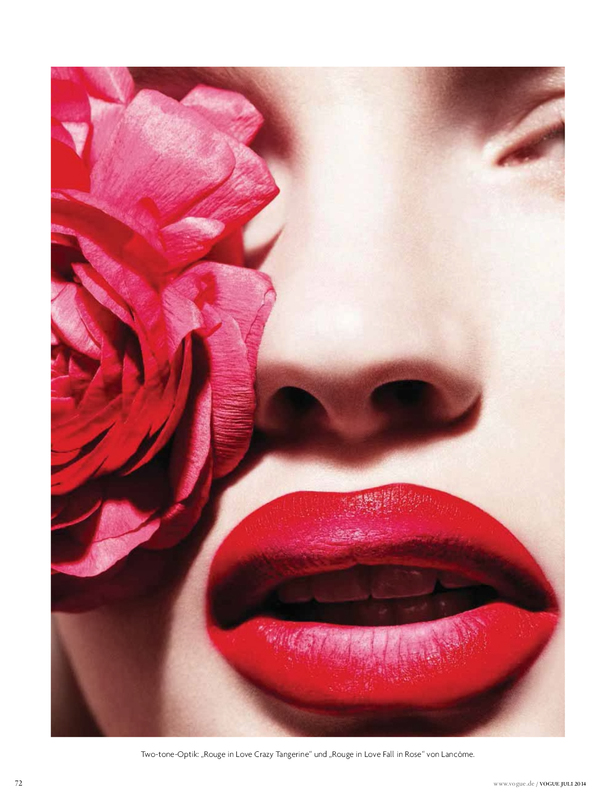 The beauty story of Vogue Germany’s July 2014 issue is dedicating to hot red lips. A great color for the hottest month of the year and perfect for those long summer nights. From matte to high-gloss the choice is yours! Beautiful images, Camila is one of my fav fashion photographers, love some eds that she made for numero some years ago. As i’m a make up artist i cannot don’t love this images.